DEAD CAN DANCE Return from the Grave. mid-size theatre venues like The Kimmel Center in Philadelphia. Tickets for most of their shows go on sale March 31 although there are a few before and after. I’ve seen DCD several times and whether playing the Keswick Theater in Philadephia or the Hollywood Bowl in LA with a full orchestra, they have never failed to be less than transcendent. Information is on their website where they are also offering free downloads of recordings form their 2005 tour. Lisa Gerrard – The Sound of the Spirit: One of 20 Icons of Echoes. 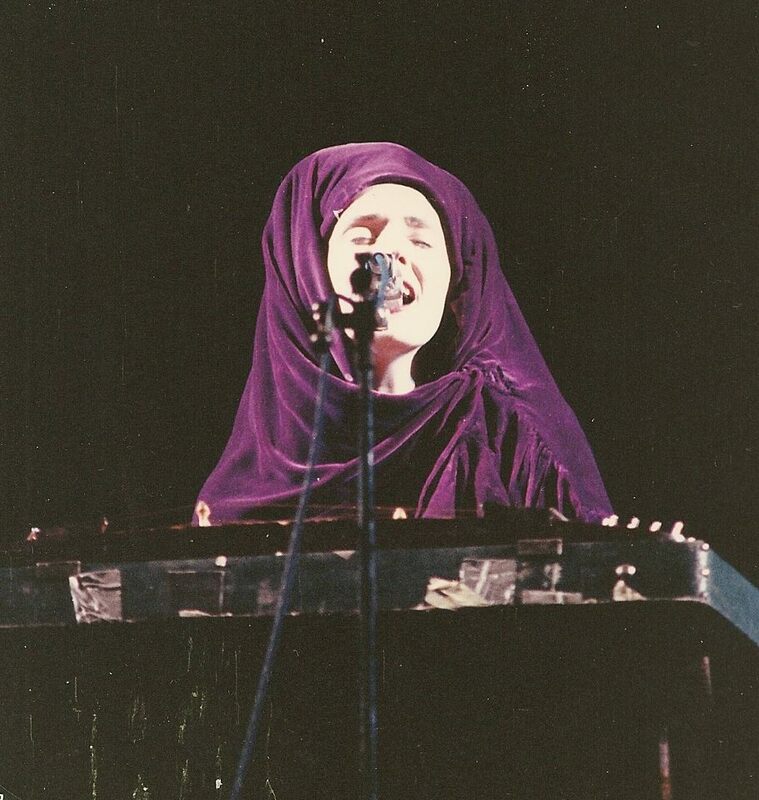 Lisa Gerard was the possessed vocalist with Dead Can Dance, the enigmatic group that channeled a world of sound through their electro-ethnic arrangements and the incantatory voice of Gerrard. Gerrard sings in a hybrid supralingua that sounds like a real language, but is actually a dialect of the imagination, channeling sounds from Bulgarian throat singers, gothic hymns, Siberian screams and middle eastern ululations. Although Gerrard has been recording solo since 1995 and seems to have been ubiquitous in the last 15 years, she’s actually put out only three true “solo” albums. The rest have been collaborations, film soundtracks and Eps. While Gerrard taps into an ecstatic and serene spirit every time she sings, her albums are often spotty or very hard work to get through. So there are only two albums I would consider essential. 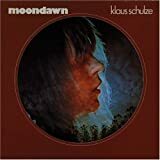 I have included, at the last minute, consideration of three albums that thus far seem to only be available in Australia and on Gerrard’s website, The Black Opal, Departum with Marcello De Francisco and Come Quietly with Klaus Schulze. There are no Dead Can Dance albums. You can see that list here. In this collaboration with fellow Australian, Peter Bourke, Lisa Gerrard reaches her most accessible sound on a CD full of trance melodies and church like hymns, except this church has middle eastern percussion and roiling synthesizers. I feel the spirit! This is the only Gerrard album on which I could say every track hits the mark, from the solemn march of “Pilgrimage of Lost Children” to the askance lament of “The Human Game,” which at the time was her first song actually sung in English in over a decade. A brilliant album. The Mirror Pool was Lisa Gerrard’s solo debut, coming on the heals of the birth of her daughter, Lashna. With a sound that waxes and wanes in the short space between hymns and lullabies, you can hear that influence, especially on the heart-rending sound of “Sanvean,” which was written for her daughter. She eschews the more rhythmic side of DCD’s sound in favor of shadowy chamber orchestrations. Out of string swells, drones and tolling bells, Gerrard’s voice arises like a dark angel. This was her first true solo album since her debut ten years earlier. In the interim, she came to renown for her film scores like Gladiator, Ali and The Insider. Her soundtrack work informs much of The Silver Tree, and in fact, many of the songs come from rejected film scores, including a demo overture she recorded in 2005 for the movie “Constantine. ” That music turns up in the epic, cinematic sweep of “Towards the Tower.” Echoes of her theme “Now We Are Free” from Gladiator turn up in “Serenity” and “The Sea Whisperer.” Both sound like the wind-swept ghosts of Irish laments blown over the hills of Tara. 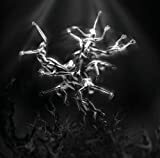 The Silver Tree was an Echoes CD of the Month in May of 2007. Haven’t heard of this one? Little wonder. It’s out on Gerrard Records and as near as I can tell, doesn’t seem to be available anywhere but her site. It’s a collaboration with Marcello De Francisci, a Los Angeles based film composer. Some corny spoken word segments at the head of the disc don’t bode well, but it quickly yields some of Gerrard’s most rhythmically lively and vocally enraptured music since Dead Can Dance’s Spirit Chaser. Like most soundtracks, Gladiator has a lot of filler, but there are two reasons to get this disc co-composed with Hans Zimmer and Klaus Badelt: “Sorrow” and “Now We Are Free.” “Sorrow” is the lament sung when Maximus returns home to see his slaughtered family. “Now We Are Free” is the powerfully affirming anthemic closer to the film that manages to be simultaneously mournful and triumphal. Lisa Gerrard will be featured tonight, August 4, on Echoes with materiel drawn from nearly a dozen interviews with the artist over the last 25 years. 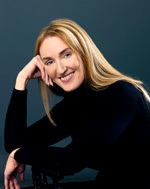 Echoes On-Line subscribers can hear several interviews and a live performance with Lisa Gerrard. You can try it for a week for only $2.99. She was voted #17 among 20 Icons of Echoes and would’ve been in the top ten if she hadn’t split the vote with Dead Can Dance who came in at 10. 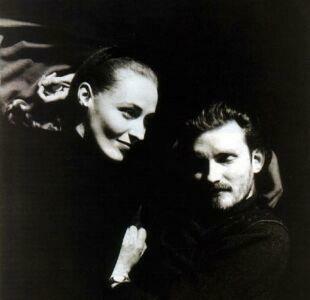 You can see Five Essential Dead Can Dance CDs here. You can also see a review of Lisa Gerrard’s collaboration with Klaus Schulze. Tonight on Echoes we’ll be featuring an extended feature on Dead Can Dance as we look back on the career of this influential band who listeners voted as #10 among 20 Icons of Echoes for our 20th Anniversary. Dead Can Dance only made 8 proper studio albums, so you’d think it would be easy to pick out five. It isn’t, but here they are. It’s not often that a group’s swansong album is also one of their strongest, but Spiritchaser is still holding up. Unlike the contemplative moods that dominate most DCD albums, Spiritchaser snarled like a trapped cat and soared like an ecstatic tribal dance. Songs like” Nierika” and “The Snake and the Moon” were as exhuberant as anything DCD recorded, while still capturing that spirit of the other. This was their break-up album in many ways, recorded while their personal relationship disintegrated. It’s little wonder, then, that Into the Labyrinth sounds like two different albums. One is Brendan Perry’s more conventional songs and laments, harkening back to past relationships, lost youth and paths not taken including the snarling “The Ubiquitous Mr. Lovegrove.” Gerrard, on the other hand, immerses herself in the abstractions of her uncanny vocal style, bringing Gregorian chants to the African jungle on “Yulunga” and weaving an enchantresses spell on “The Spider’s Stratagem,” all of them wordless, calling out to the spirits. This features some of their strongest choral writing including the epic, “Host of the Seraphim” and “The Writing of My Father’s Hand.” Brendan gets in one of his best DCD era songs, “Severance,” a song of loss. “Echolalia” taps a Native American gothic sound with both Gerrard and Perry singing in stacked choirs and call & response chants. This might be their most Mediaeval album, full of hurdy gurdys and folk forms from the Middle Ages. They even do a straight rendition of the 14th century “Saltarello” and render a haunting version of a 16th century Catalan tune called “The Song of The Sibyl.” Gerrard also began tapping her Bulgarian muse. For those who just need a sampling from across the Dead Can Dance spectrum, you could do worse than Memento, a collection that came out in 2005. Nothing from their first album, but most of their classics are here, including “Cantara” from Within the Realm of the Dying Sun, an album that many people would include in their Top 5 DCD albums I suspect. It’s difficult when you fall out of love with an artist. We all have musicians whose work has been central to our lives, who we’ve followed from the beginning of their careers and absorbed everything they’ve released as if it were a gift from heaven. Klaus Schulze and Lisa Gerrard are like that for me. I’ve followed Klaus since Dan Kelly played me Picture Music in 1975. I remember the phone lines lit solid for all 25 minutes of “Mindphaser” when I played the Moondawn album on WXPN‘s Diaspar in 1976. Mirage and X remain among my favorite albums. But since the mid-1980s, Klaus’s music has seemed less important, less relevant and often, just not very well crafted. In an era of tighter time constraints and shorter attention spans, he persists in creating epic works spanning 30 minutes to hours, often improvising aimlessly and endlessly on relentless sequencer patterns or glacial chords. Klaus does not subscribe to the “less is more” concept. Lisa Gerrard has been a true love since the second Dead an Dance album, Spleen & Ideal. Her singing remains singular and transcendent, despite so many imitators. I’ve written reams of praises to her, but in recent years, Gerrard has become more turgid as well. As early as The Mirror Pool and as recently as The Silver Tree there are many transcendent moments, but I often feel like I’m sitting in church dusty and musty litanies shrouded in suffocating portent. Lisa has abandoned the dramatic arc that marks her best work, often devolving into mood and mysticism that is often, but not always salvaged by her supralingua dialects and siren angel of a voice. When I heard these two musicians were getting together on a double CD called Farscape, I hoped they’d bring out the best in each other. The opening 22 minute opus, “Liquid Coincidence (1)” drops you into the space cathedral of their sound with Klaus laying down those big sweeping synth chords while Lisa channels Abbess Hildegard von Bingen. It’s an auspicious start, but the gambit gets tiring at about 30 minutes into the CD, when I realized that Klaus and Lisa were reinforcing each other’s worst tendencies, heading down the rabbit hole of unfocussed abstraction that has sucked the life out of them both in recent years. As it wears on, Farscape begins sounding less like inspired collaboration and more like a John Cagian Indeterminacy experiment, with both musicians playing in separate rooms, rather than a holy communion of sound. According to Klaus’s liner notes, he created the basic tracks and Lisa came in and sang for several days. Her performances were all reputedly one-take improvisations which isn’t necessarily bad, except they sound like it. His synth tracks are sometimes gorgeous, occasionally rhythmic, always sweeping, yet never quite ascending to a compositional level, more like soundscapes that ebb and flow. Lisa sings across them, sending out chants and incantations, and though I can hear she’s dialed into the moment, there’s no sense of construction or flow, only a string of isolated, unmediated, unedited fragments. Klaus lays down the big synth chords to nowhere while Lisa deploys her Gothic muse. I could make a case for this being an enveloping soundscape that takes you deep into an immersive world of sound where Klaus Schulze navigates a roadmap of the inner mind while Lisa Gerrard negotiates the darkest reaches of the soul, each staring into the abyss and jumping in head first. But the portentousness of it all is as lugubrious as Jabba the Hutt on Quaaludes, just prettier. I feel like I’ve just turned my back on the church, but the fact is, I remain a loyal fan, because I can still hear the elements of genius and soul that attracted me to both artists, I’ll be trying to edit out some choice chunks to play on Echoes, because they are there. Meanwhile, Klaus’s early catalog has been reissued in beautiful packaging, although the decision to not remaster the recordings was Ill-advised. You can hear a profile of Lisa Gerrard here.